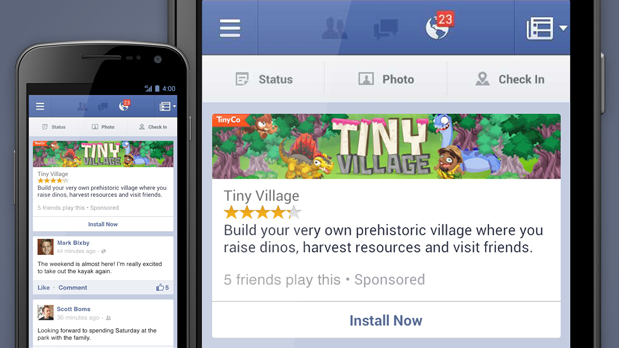 Facebook mobile app install ads – first introduced its Beta version in August 2012 – has been officially launched to all the developers on October 17,2012. These ads help advertisers to drive people to install their apps and also measure installs for their mobile apps and games. In August, a number of major players like Kabam, Fab, TinyCo and BigFish got to trial a new mobile ad unit to boost app installs and found the ads to significantly raise their CTRs (Click Through Rate) and conversion rates. In fact, TinyCo saw 50 percent higher CTRs and a significantly higher conversion rate. Now with these new ads, mobile apps and games of any sizes are capable of reaching the right audience, at the right time. 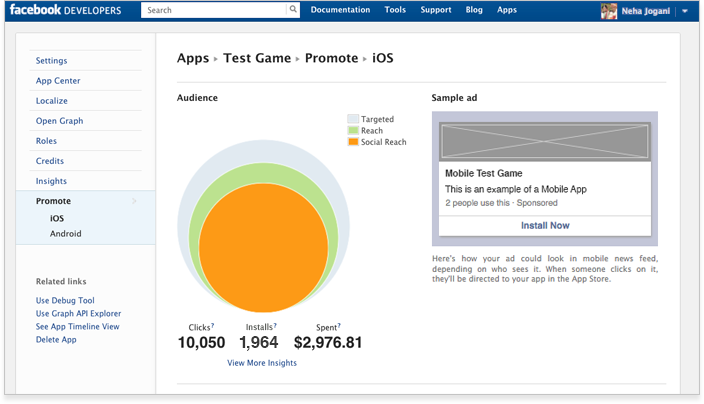 Developers create their ads and monitor statistics via the App Dashboard in Facebook. They have the option of partnering with one of Facebook’s preferred marketers or creating their own campaigns. These are the same ad tools that developers use on the main Facebook Web site so all of those options are available to you. How does Mobile Apps Install Ads work? Mobile app install ads appear in mobile news feed. When a user clicks on the ad, it directs them directly to the Android Market or the App Store from where they can download it. How to check the effectiveness of Ad? To see the effectiveness of your ads, developers will need to integrate with the latest Android or iOS Facebook Software Development Kit. The insights will measure the overall clicks and installs for your current ad campaign. Using this data, you can optimize your ad delivery for installs.